Arjan Eriks and his family visiting Made, the girl they sponsored so she could go to school. In the meantime she graduated and started her career. Many years ago I worked with Gill Rijnenberg at KLM Royal Dutch Airlines. Gill back then already a remarkable person. Later I learned that those people are often referred to as ‘free electrons’. Free as they reason that you only have something to gain and nothing to lose. Gill and others started the WINS foundation and when I heard about it, me and my wife decided that we would like to join in. Kids that can make a difference through education is something we often take for granted in the western society. In a lot of countries this of course is totally not the case. When mom or dad are not around, the basic income needs to be earned by kids. The school fees are an extra burden that a family often cannot carry. The WINS foundation has a remarkable structure. No hierarchy! All people are equal! Values that are close to my heart and that combined with the financial structure that all money goes directly to the kids that need it most made us decide that we wanted to be part of this. Initially we looked at the first learning center in Bedulu. The kid sponsor program listed a large group of kids that needed a sponsor (This list is still long by the way). We read the story of Made and we said that supporting Made probably would be best. Made – third from the right – at her graduation. Every year we noticed that Made improved in her ability to write English. Her stories about daily life and school where very nice to read. The joy we experienced reading about the Yayasan, the other kids, the dancing and of course school itself was great to read. Made surely was progressing every year. Her english improved rapidly and when school came to an end, she expressed her wish to study Medicine / Health in Den Pasar. Made showed persistence in her decision to pursue her dream and for us it was amazing to see that she could make her dream possible. Last October our sponsorship came to an end. Made graduated with flying colors. 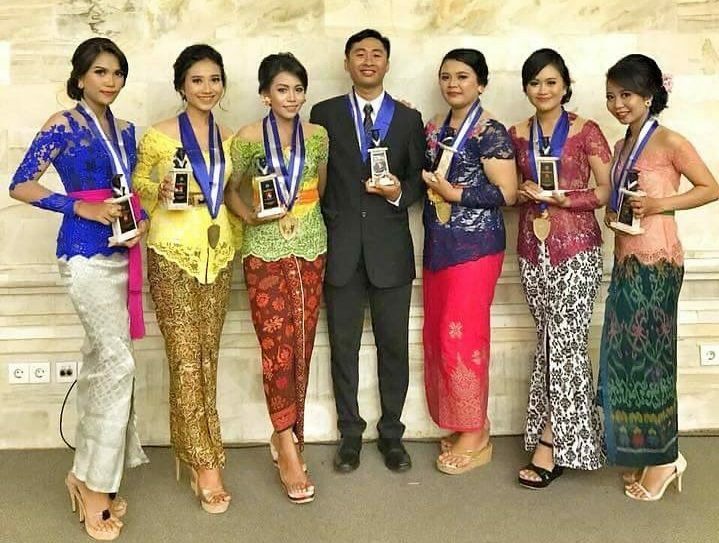 Her sister Komang, her mother, Gill, Ketut and a lot of others being very proud of her. And we as well of course. 12.5 years ago we visited Bali for the first time for our honeymoon, and this was the perfect reason to return to Bali. The children of Arjan singing and playing with the children of the Learning Center. So Christmas was the date that we could visit the Yayasan and Made. It was very nice and special to be there. 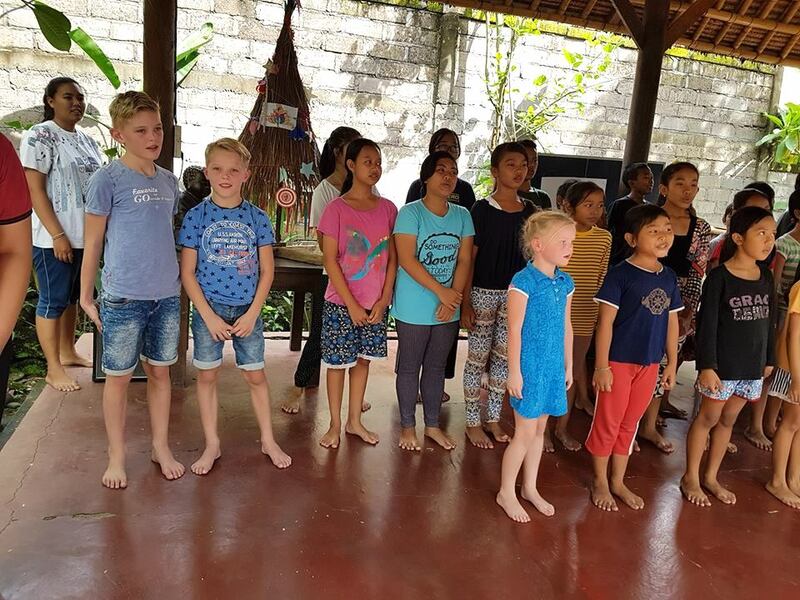 This time we could bring our kids so they could experience as well how it is to learn and be educated in Bali. The kids had so much fun. Not able to communicate easily with words, but playing games together, including some contests was hilarious. Kids blend in easily and friends were made instantly. Watching Made being relaxed among the other kids was very nice to see. When we needed to go all kids sang Christmas songs over and over again. And the Feliz Navidad with a Balinese tongue was the best i have heard in a long time. Afterwards we visited the home of Made, Komang and her mother. Made bought us way too much very nice presents. It was so special to see a mother being proud of her daughter(s). She knows how hard life can be for a young girl with limited opportunities to advance. Made did it! she studied hard and long and graduated with flying colors. As a result Made is now investigating the impact of Dengue in Bali. Our visit to Made and her family was very special and emotional. We are very proud of Made and all the other kids that go the extra mile every day. Kids that work hard to make the most of it. It is very rewarding to be able to support a number of these children. We look back at a great trip to Bali! And we look back proudly to what Made achieved! We wish all people at the different learning centers all the best with their important work. Made being one of the perfect examples of what a difference someone can make if they only get the chance….